Alex is the type of guy who feels like you can DIY almost anything. I on the other hand, much rather pay someone else to do it to save me the headache. Yet when it comes to Lush-alike bath bombs, Alex is oh so right. A few months back he got it into his head that he wanted to try to make some of his own. 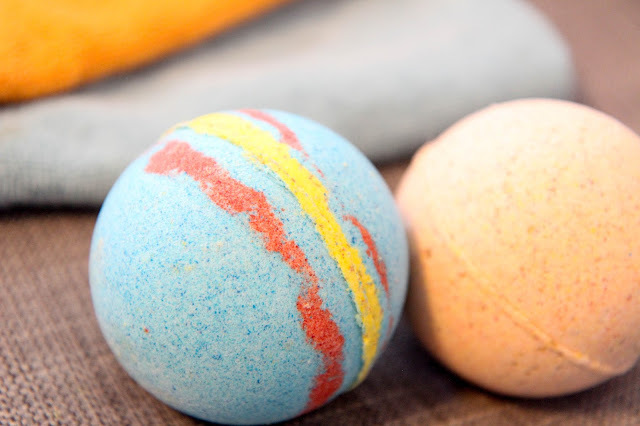 I was skeptical, but he produced some seriously gorgeous bath bombs that really do the trick. And now there's an adorable video of him showing you how to do it too. Plus he wears my apron, which is hilarious. Now I'll keep going to Lush for Bath Melts and other pamper-y bits, but I'm all set in the bath bomb department and couldn't be happier about it.